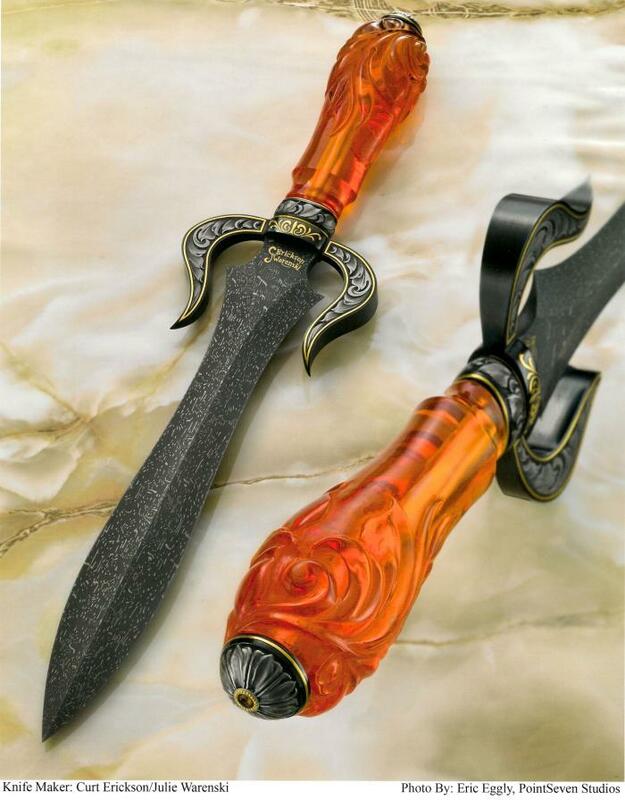 This dagger features custom Rob Thomas stainless damascus steel. It has a carved amber handle with sharks tooth. The embellishment was done by Julie Warenski.